Here we are the rare unit tactics post. The advantages of only doing two units in the post is that I can spend as much time as I won’t on each unit without having to worry about the post becoming ridiculously long. So let us begin. Oh the Treemen how you have deceived so many. 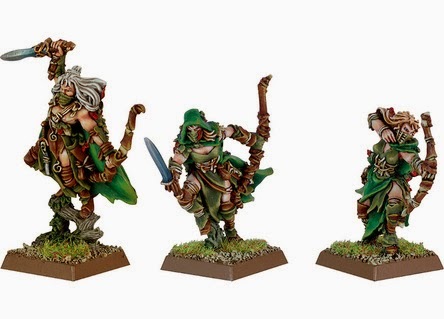 When the news first hit that these guys dropped a wound and a point of strength many Wood Elf players dropped the Treeman, along with Treekin. Once more I refused to bow to the commonly held view and stood by the Treeman (the new model helped). 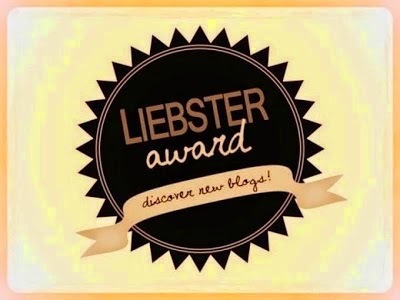 And lo I was rewarded! Some of the things people missed about the new Treeman was the Increase to LD 9 (with Stubborn) and Treewhack. So what roles do I see this unit fulfilling? 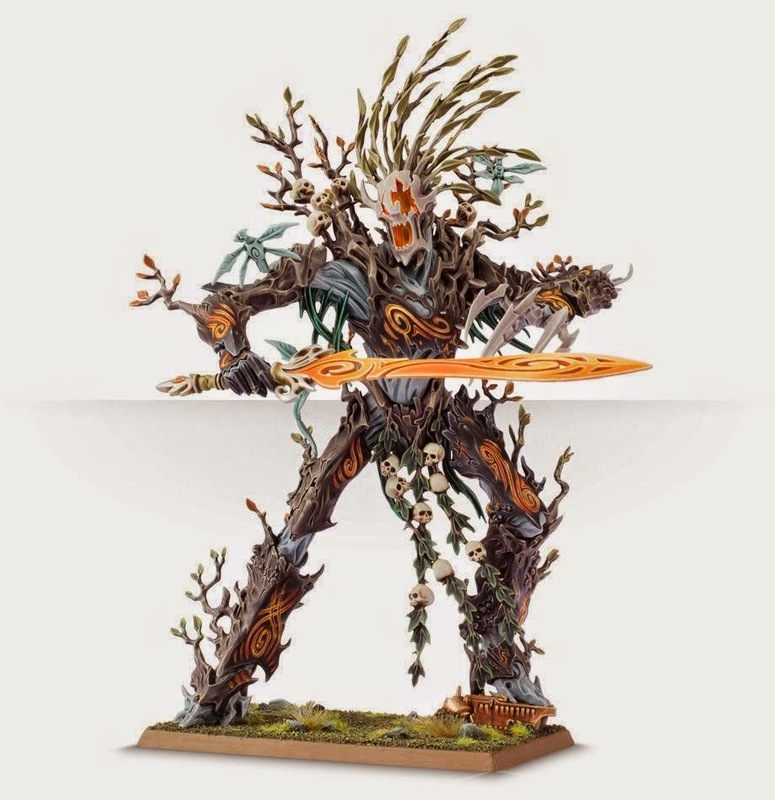 The 8th ed Treeman retains his 6th ed role of being the model you can rely on to hold up an enemy unit or monster and do some damage. But that’s not all he can do, with the addition of Treewhack (which can be targeted against any model in base to base contact, said model must pass a initiative test or suffer D6 Wounds with no armour save allowed) he is now better at killing big monsters and the dreaded monstrous cav. Confused? Allow me to explain. The big two MC units that Wood Elves fear the most are Demigryphs and Skullcrushers because they have good toughness and a 1+ armour save and all the toys we have to deal with these things are shooting orientated. However with the addition of Treewhack we now have a new way of dealing with these units. The Treeman simply needs to Treewhack the unit until it dies and hope that he doesn’t die before they do. Ok it’s not perfect but it’s what we have, and as such a Treeman should be considered when choosing units for your army. Now for a brief chat about Strangleroots. It’s a range 12 multiple shot attack on a model that will be moving, meaning a -3 to hit penalty. For this reason I suggest you pass on Strangleroots and spend that 20 points elsewhere. But the Treeman itself is still a good choice for your army. Its been about a month since the release of the new book and I still love Waywacthers. They are still in every army list I make, and I do occasionally have 2 units of the. However while it was easy to see why Waywatchers were good when the book was first released what roles do they fill? Roles: Anti-Armour/Chaff. War Machine Hunters, Flankers. Waywatchers are a very cable unit. They can make units like Dark Elf Cold One Knights, Empire Knights almost any Bretonnia unit tremble. They are manoeuvrable, can march and shoot, have a high Ballistic Skill and have ASF and 2 attacks each. This allows them to fill a wide variety of roles be it charging or shooting war machines, taking out knight darts or dealing with other skirmisher units. Their Hawked Eyed Archer rule combined with their manoeuvrability means they can run circles around almost any unit whilst slowing killing them. A unit of ten should suffice but if you have the points another unit will come in handy. So there you have it, a brief tactics post. In the next few days i plan to post about Warhammer 9th ed and various hopes and issues surrounding that upcoming release. So until next time.